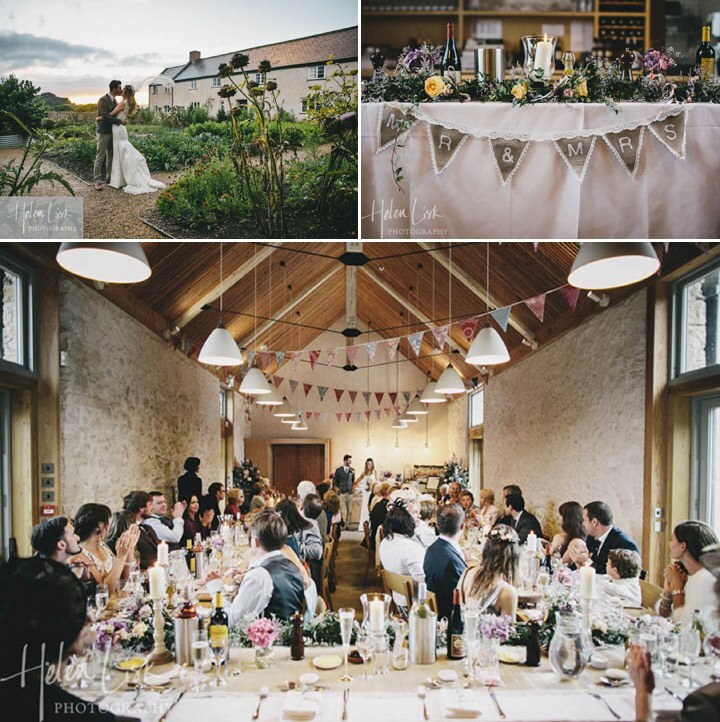 Boho Loves: River Cottage – Hugh’s Famous Farmhouse Where Brides & Grooms Share Centre Stage With The Food. You may recognise the name of River Cottage from the TV cooking programme that features Hugh Fearnley-Whittingstall. 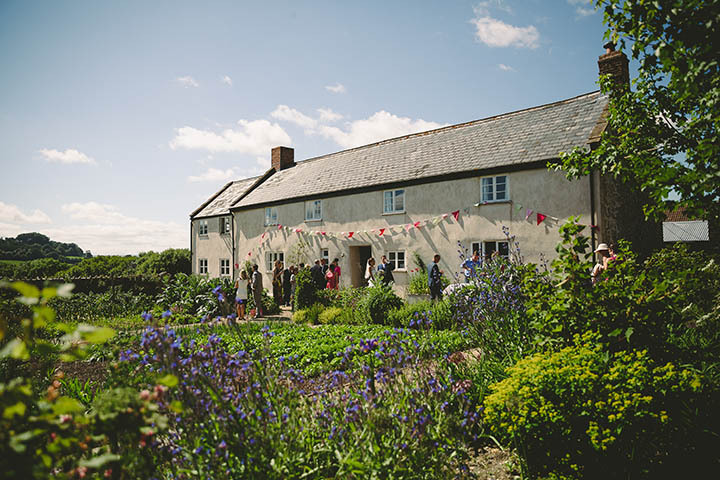 Well I am super excited as todays Boho Loves post is all about River Cottage as they also carry out weddings in this totally beautiful venue. 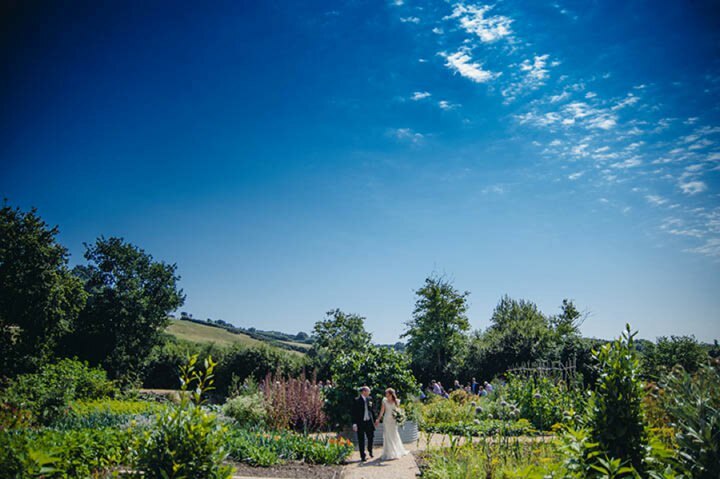 River Cottage is such a stunning and unique place, a beautiful rustic farm cottage set inside the rolling Devon Hills, an absolutely perfect backdrop for your wedding day. 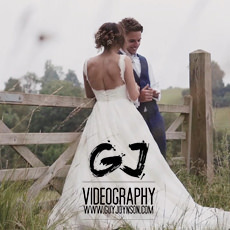 Not only is it famous for its unique location but of course for the amazing food, so if food is a big thing in your life then this really is the perfect choice for your wedding day. 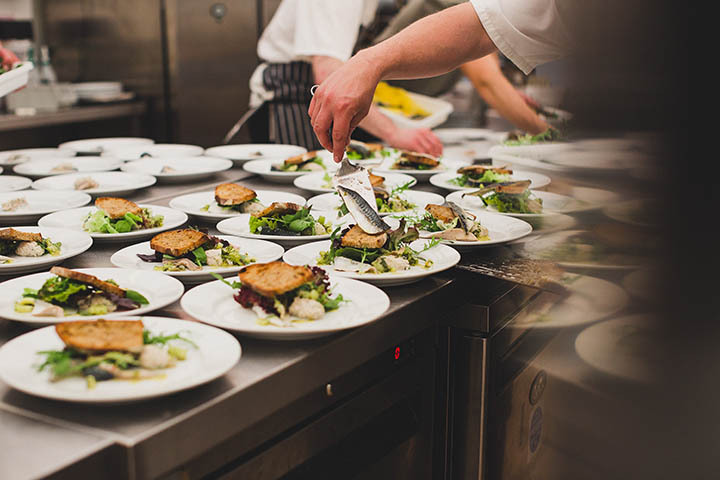 You will work alongside the chefs to create you own perfect, unique wedding menu, safe in the knowledge that the food will be second to none. 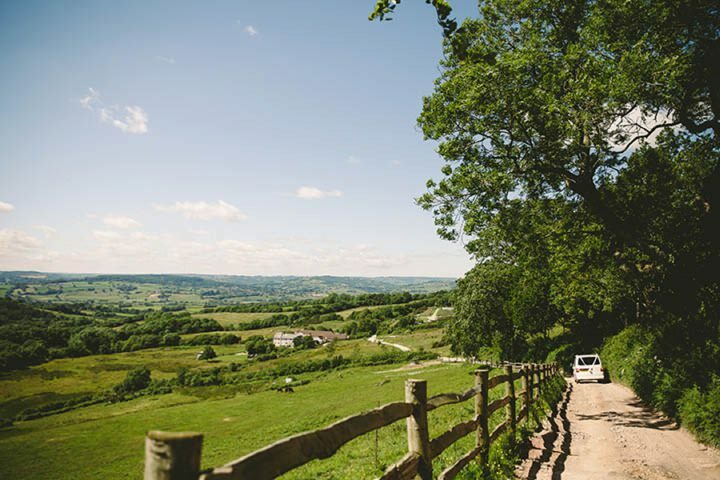 River Cottage HQ, backdrop to the TV series and home to the award winning cookery school is set in 65 acres of organic farm land overlooking the Axe Vale, in the wonderful county of Devon and just a stone’s throw from the beautiful Jurassic Coast. 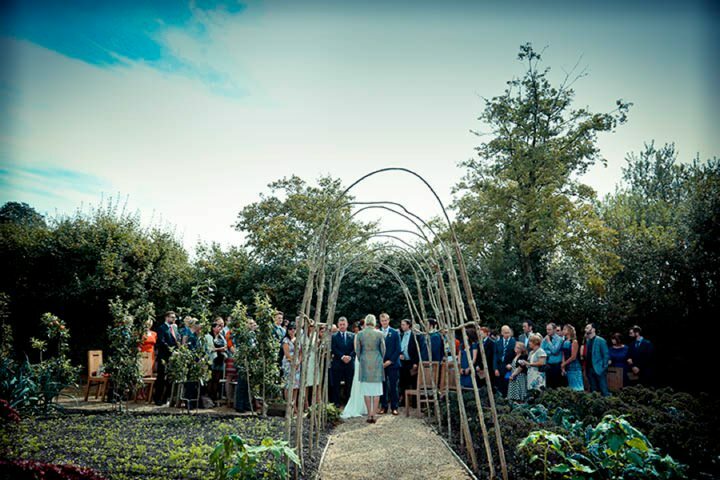 Licensed for weddings, the smallholding is a fantastic setting for your ceremony and celebration. 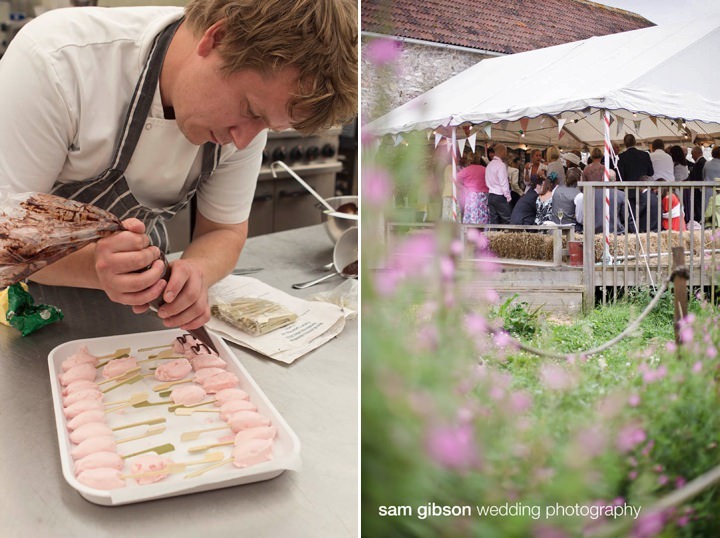 Couples design their wedding menu with the talented River Cottage chefs and kitchen team, wowing guests with the finest local and seasonal ingredients from the West Country, as well produce grown and reared on the organic farm itself. 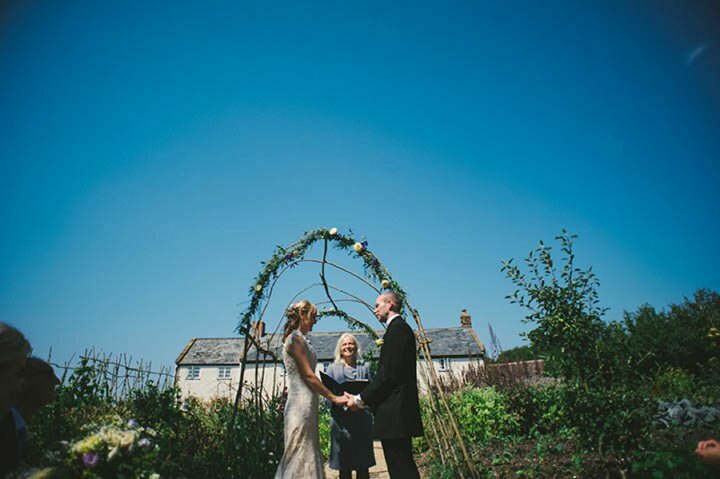 We asked River Cottage to tell us a little more about their amazing wedding venue and of course the famous food! River Cottage has given millions of TV viewers a taste for great cooking since 1998, when Hugh first brought his famous food ethos to Channel 4. Our hard-hitting campaigns have changed the eating habits of a nation and improved the welfare and sustainability of animals and fish. 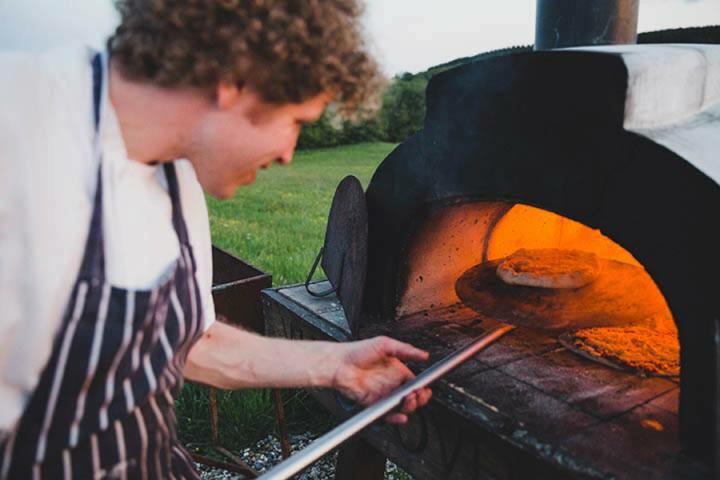 River Cottage HQ, found on the Devon and Dorset border, is home to everything we do and is the base for our Cookery and Chefs’ School, unique dining experiences and memorable events. 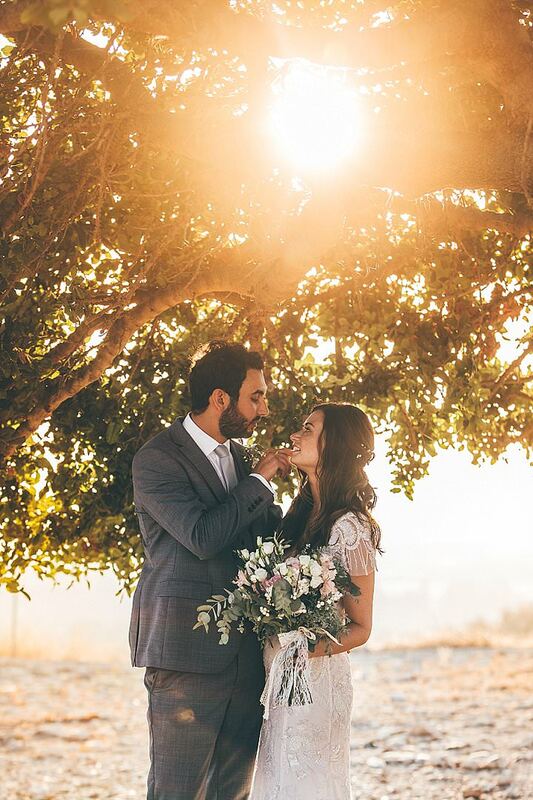 Over the past 7 years it’s been our greatest delight to share our farm and our passion for food integrity and consumption of local, seasonal produce with wedding couples on one of the most important day of their lives. River Cottage HQ can be found on the Devon/Dorset border in the south of England but we have had couples book us from all over the Globe! 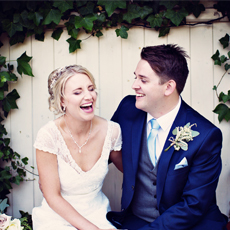 We would describe our style as rustic, relaxed and informal but underpinned with quality. The buildings at River Cottage HQ have been sympathetically restored to the highest standard using environmentally and eco friendly materials. 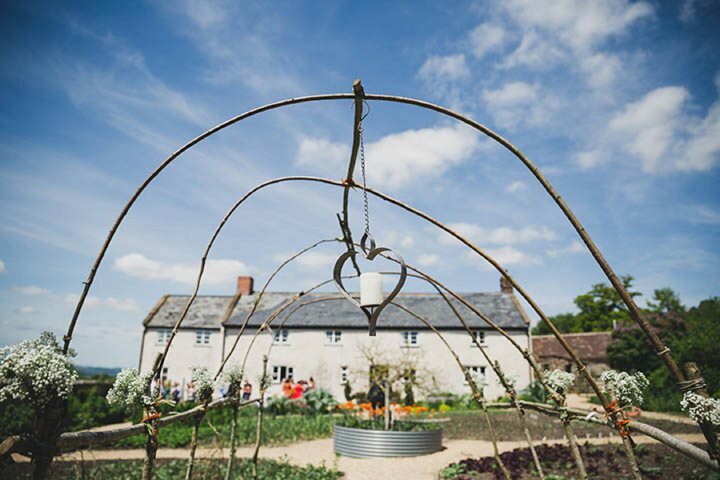 Our beautiful farmhouse with its original flag stone floor and roaring wood fires overlooks the pretty walled garden which is bursting with produce in the growing months. 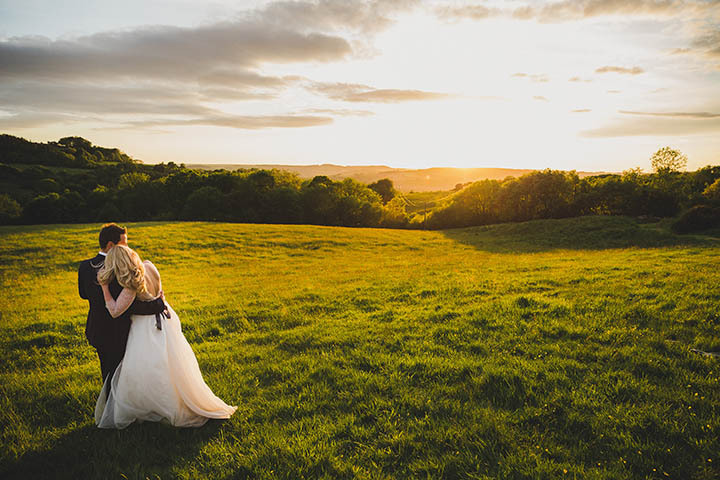 The refurbished 17th century Threshing barn with breathtaking views across the valley is a flexible venue, perfect for a traditional ceremony, the banquet meal itself and of course to dance the night away with your nearest and dearest. 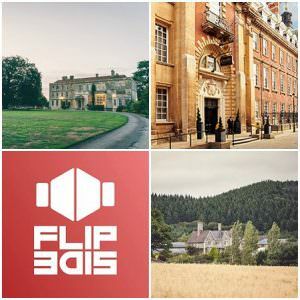 Foodie couples who are looking for a unique and bespoke experience in a non-traditional setting. We charge a facility fee plus a cost per person for the meal. The facility fee ranges from £1525 in low season to £4875 in peek season. 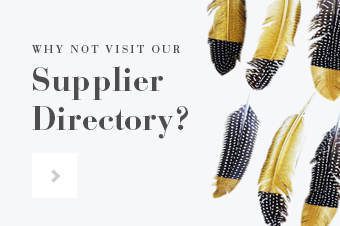 This fee gives you exclusive use of the entire site for the day. It also includes tableware, jam jars of flowers from the garden, use of our hand made bunting and tractor transfers for your guests. 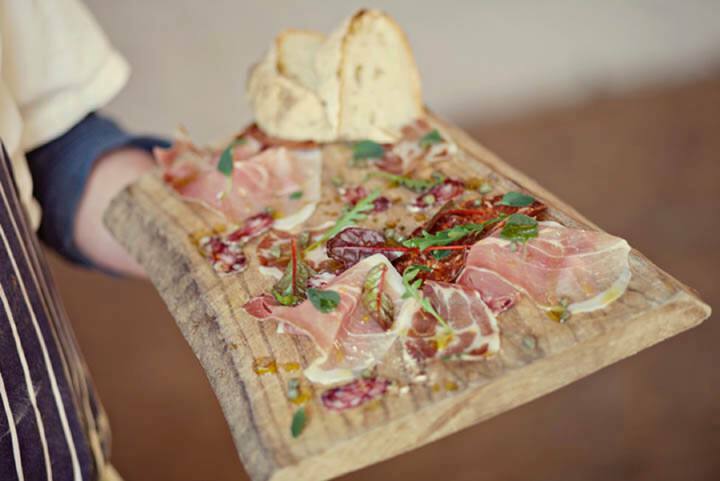 You can build your menu choosing from canapés, afternoon tea, a two or three course seasonal meal and evening snacks such as bacon sandwiches or wood fired pizzas. 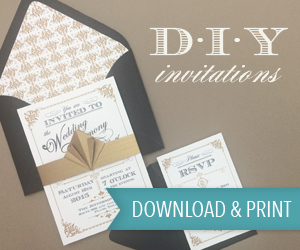 There is also the option of BYO drinks. 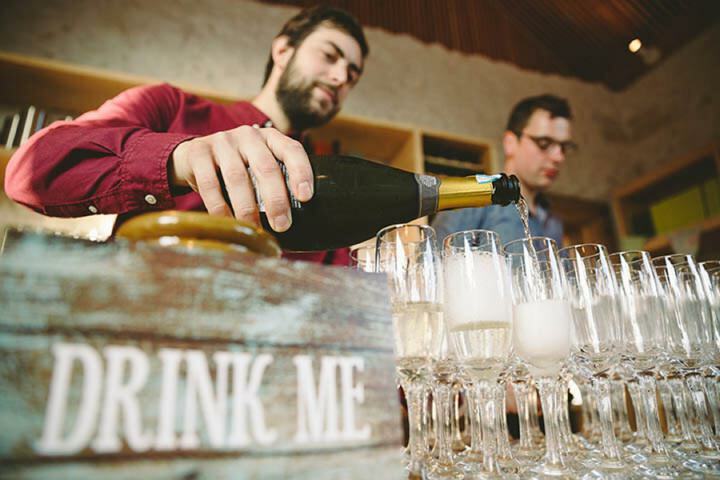 Our traditional threshing barn has a maximum capacity of 64 guests. 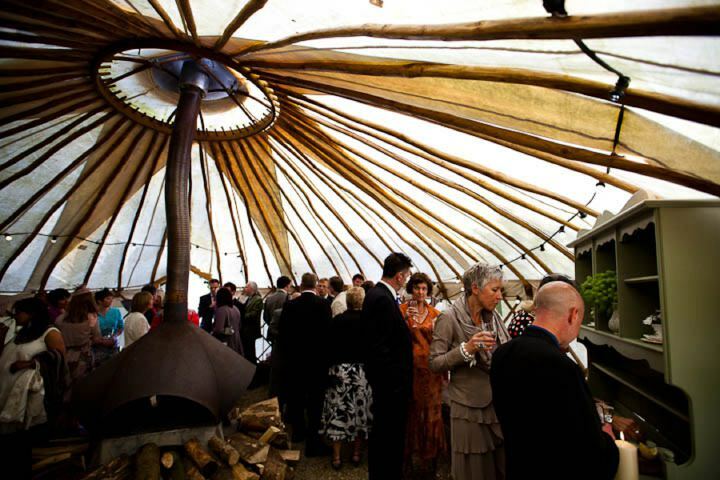 During the Summer months we are able to accommodate a further 30 guests on our decking under a canvas marquee located just outside the threshing barn. For larger parties we can hire in marquees; a supplement will apply and is priced by requirement. 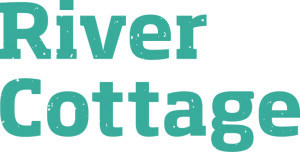 River Cottage HQ is an iconic foodie venue which sets us apart from our competitors. 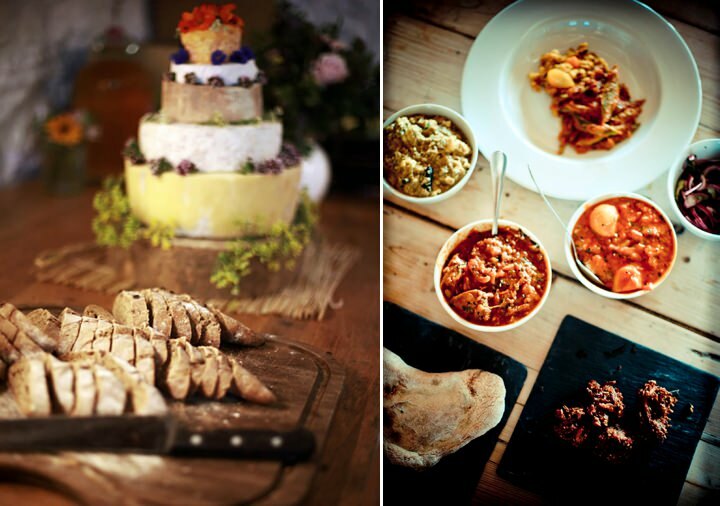 The menu planning stage gives you the chance to create the sort of celebratory feast we are famous for, and the Head Chef’s menu provenance introduction on the day itself, along with our open kitchen policy means your guests will have an unforgettable experience unlike any other wedding they have attended. 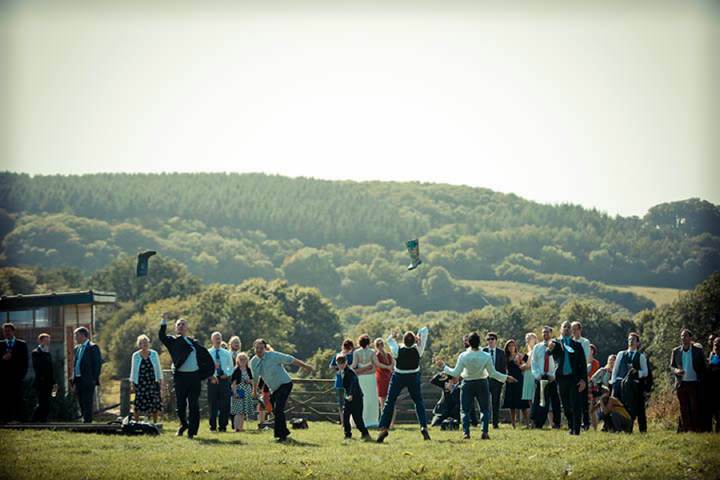 All wedding parties can enjoy exclusive use of the entire site which means we can be extremely flexible, and our dedicated wedding coordinator Lydia endeavors to fulfill any request sent her way – we’ve had all veggie menus, wellie wanging across the paddock and even wedding pictures with the piglets! The vegetarian meze wedding was great, two courses of 16 different dishes all served down the table with everybody getting involved and sharing the food really got everyone into the spirit of the day. 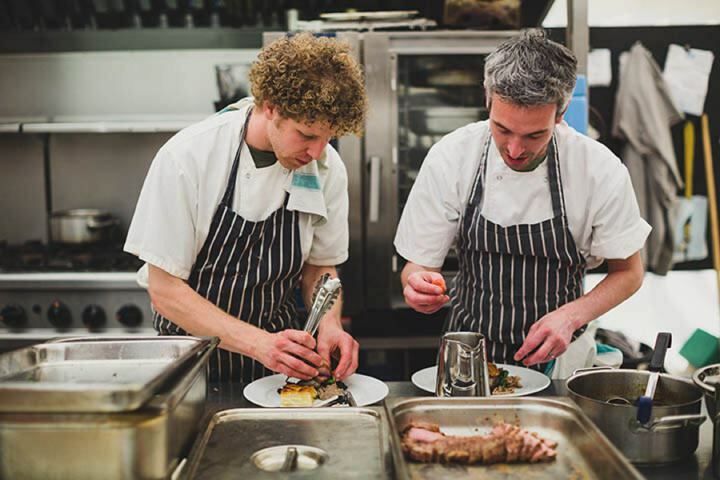 Our food is all based around the slow food movement (seasonal , organic, local and wild) so it’s not necessarily dishes to be avoided as ingredients, although happily that takes prawn cocktail off the table. Always remember it’s your day, don’t get hung up on trying to please everyone so try and get all your favourite food involved. At River Cottage HQ the menus for our weddings are completely bespoke, no menus A,B or C they are designed with the bride and groom and as long as we have the ingredients in season and locally sourced there is nothing we can’t do from curry feasts to traditional roasts, croquet en bouches to giant after eights, your imagination can run wild and our talented team will turn it in to reality. 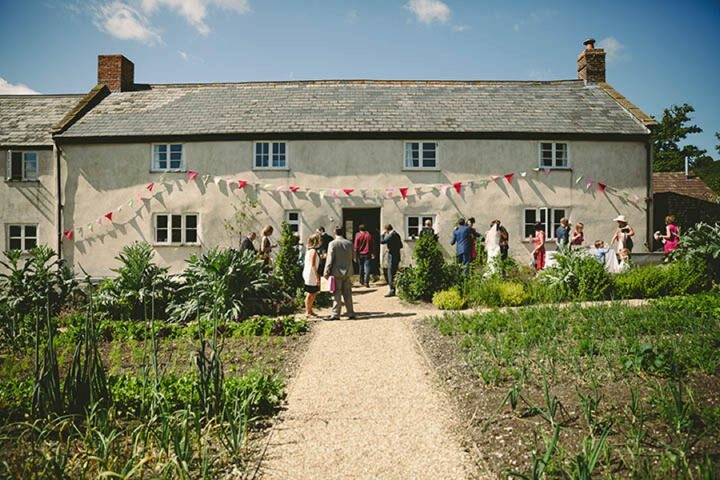 River Cottage can also be found in the Boho Wedding Directory as one of our recommended suppliers.